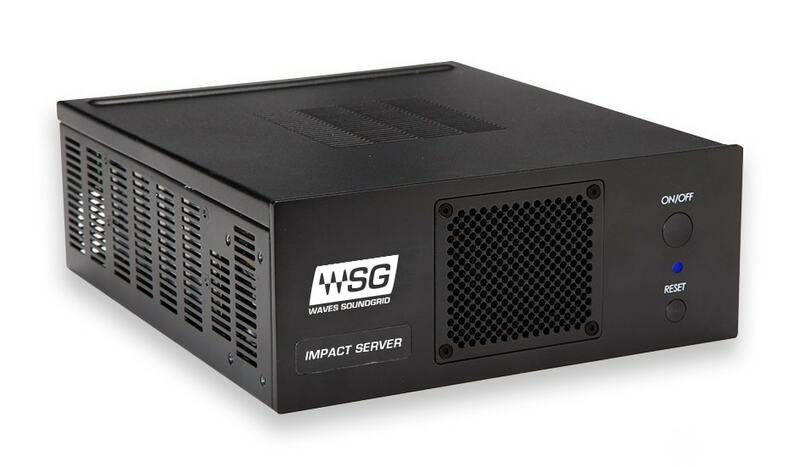 This combo includes everything you need to start working right out of the box: Impact server, WSG Bridge, MultiRack, an 8-port network switch, two Cat 6 network cables, and 5 Waves plugins to cover your essential needs. 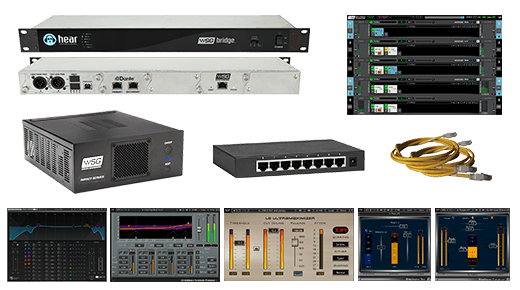 In this setup, audio from a Dante network is routed to the WSG Bridge. 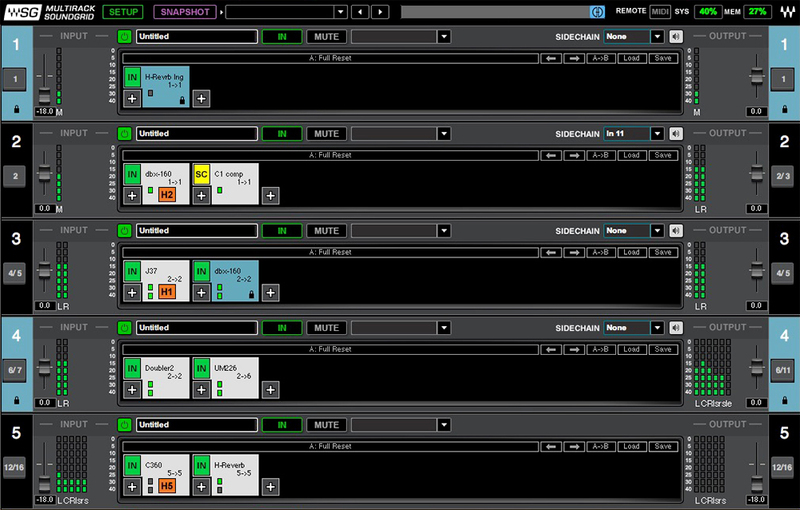 The same audio is then routed to the SoundGrid network to be processed through plugins by the SoundGrid server. The processed audio can be routed back to anywhere on the Dante network.